The National Ambulance Service said that 35 people were rescued, with 15 being treated for hypothermia after bad weather struck a rowing boat event. A SEARCH TOOK place on part of Lough Derg this evening after a boat failed to return after a regatta. The search took place near Portroe in Dromineer and the gardaí, national ambulance service, Coast Guard and Civil Defence were all involved. Gardaí told TheJournal.ie that 14 boats took part in the regatta, but 13 returned. Typically, these boats are five-person boats. The gardaí were alerted to the incident by the Coast Guard at about 7.20pm. A spokesperson from the RNLI said that the regatta involved rowing boats and was from Dromineer to Killaloe. At an area called Parker’s Point, the weather turned. The organisers were worried about one boat, and the lifeboat was launched at 6.20pm. The rowing boat was located on Crow’s Island, with the oars arranged in way that indicated people had got to safety and taken shelter. The rescue services ensured that all individuals at the event were accounted for before the search was stood down. The search for the missing boat has now concluded and all participants are said to be safe. The National Ambulance Service said that 35 people were rescued from the water this evening, with 15 people being treated for hypothermia. Email “Search concludes on Lough Derg after all found safe”. 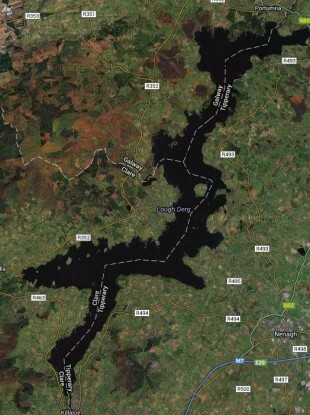 Feedback on “Search concludes on Lough Derg after all found safe”.